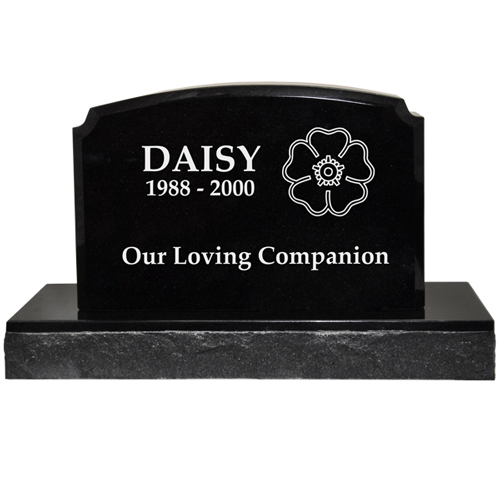 Our Pet Burial Markers allow you to create a unique memorial tribute for your faithful friend. 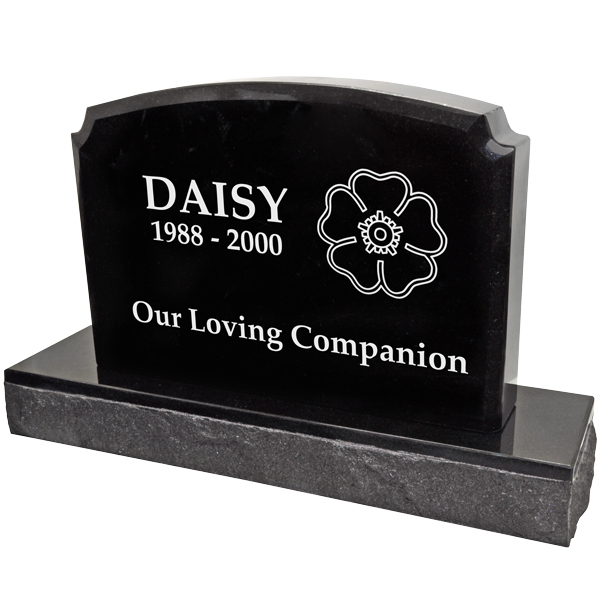 The Pet Burial Marker can be engraved with name and dates or a special message to your pet. You may add clip art to the pet burial granite marker for an additional cost. 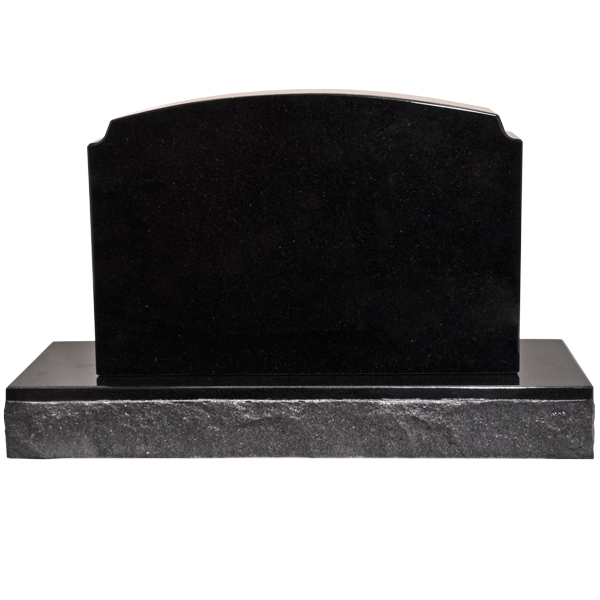 Because each memorial marker is custom made of true granite, there may be slight variations in the color and pattern of the stone. We will create and send you a proof of your pet's memorial before the final piece is made. Engraving layout may not be exactly like sample because each engraving is different with amount of text or clip art if chosen. Our skilled engraver will create a layout design for maximum impact based on the amount of text and clip art.